President Barack Obama has declared a federal emergency in Flint, Michigan, after the city’s drinking water became contaminated. Meanwhile, Democrat Socialist presidential candidate Bernie Sanders says Michigan’s governor should resign due to his slow response to the crisis. The president’s decision to declare a federal emergency will free up $5 million of federal aid so it can be used to combat the health crisis. The city’s drinking water supply has become contaminated with lead. The money will be able to cover 75 percent of the costs needed to provide filters, filter cartridges and other items residents need in order to ensure they have a safe supply of drinking water. However, Obama stopped short of granting Governor Rick Snyder’s request of a disaster declaration, which under federal law, is only granted following natural disasters, such as floods and hurricanes. Had the US president announced a disaster declaration, Flint would have been able to receive a much greater aid sum. "I have pledged to use all state resources possible to help heal Flint, and these additional resources will greatly assist in efforts under way to ensure every resident has access to clean water resources," Snyder said Saturday. Snyder had asked for as much as $55 million to repair damaged pipes and a further $41 million to help to pay for water distribution services, whilst the restoration work is taking place. Children in Flint will be plagued with brain damage and other health problems. The people of Flint deserve more than an apology. “There are no excuses,” Sanders said. “The governor long ago knew about the lead in Flint's water. He did nothing. As a result, hundreds of children were poisoned. Thousands may have been exposed to potential brain damage from lead." Protesters have also been gathering outside Flint’s city hall to express their anger against Snyder. They were joined by documentary filmmaker Michael Moore, who is from Flint and has called on the US Attorney General’s Office to arrest and prosecute the Michigan governor because he "knew that toxins, pollutants, and eventually lead was leaching into the water and being sent into the taps of people's homes." Moore also alleges that Snyder did nothing to try and solve the problem after it was evident that the water supply had been poisoned. The problems arose after the Michigan authorities decided in April, 2014, to switch the source of Flint’s drinking water from Lake Huron to the Flint River. The move was projected to save the financially struggling city between $5 million and $7 million a year. Although the river water was sent to a treatment plant in the city, its salt levels were ignored. This caused the lead pipes transporting the water to corrode. Local residents noticed the changes almost immediately, complaining of the water’s bad taste and smell. However, it took the Department of Environmental Quality until October 2015 to realize a mistake had been made, as previously, they had failed to add the necessary chemicals to prevent corrosion in the pipes. This meant that the water dissolved the lead, which is a poisonous metal. Flint’s water source was eventually switched back to Lake Huron in October 2015. 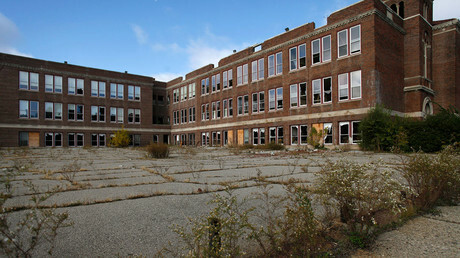 Governor Snyder declared a state of emergency on January 5, and called in the National Guard a week later, but the damage appeared to have already been done. There is a “strong correlation” between high lead water levels in Flint and blood lead levels in children, Dr. Mona Hanna-Attisha told RT. A pediatrician at the Hurley Medical Center, Hanna-Attisha added that the highest readings she and the state recorded for elevated blood levels in Flint were 38 micrograms per deciliter. This figure is more than seven times higher than the level classified as “elevated” by the Centers for Disease Control and Prevention (5 micrograms). Meanwhile, the contaminated water supply has also led to a spike in the number of cases of Legionnaires Disease in the city. Between June 2014 and November 2015, there were 87 cases, 10 of which proved to be fatal. 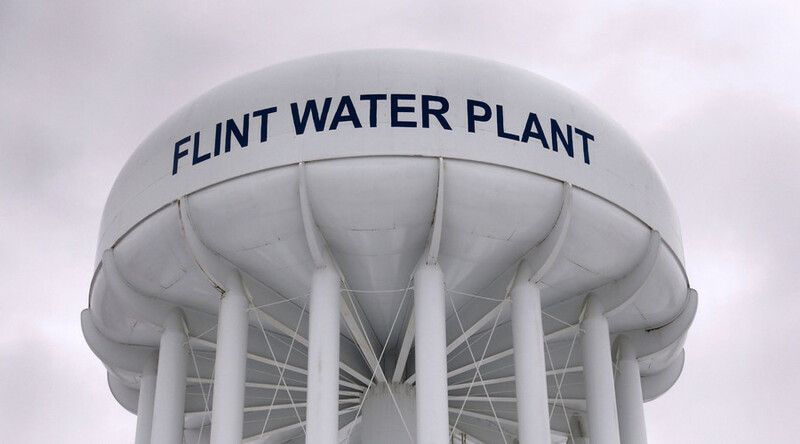 Michigan health officials are currently investigating whether the growth in cases of Legionnaires is connected to the increased lead levels in the water supply.